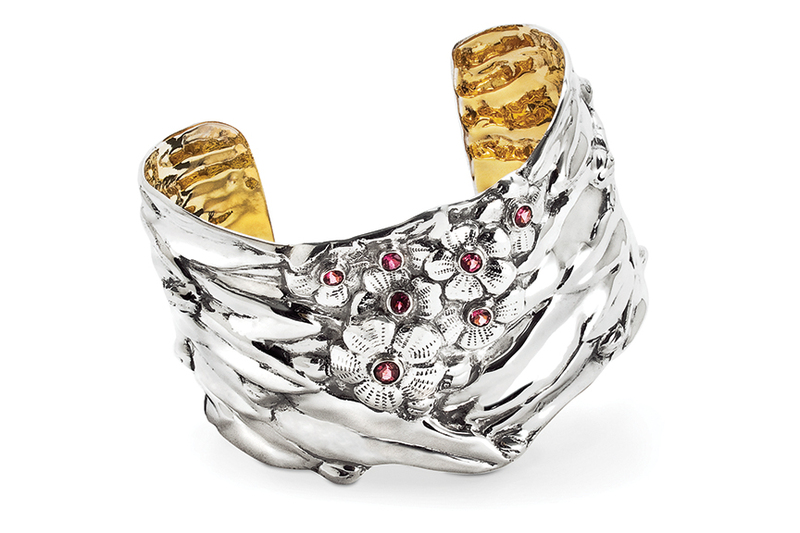 The Cherry Blossom Cuff in pink tourmaline is a fresh, feminine variation of our classic Cherry Blossom Cuff. Designed with an asian-influenced strapping effect with much detail in the flowers and dots of pink in the center buds. Please note that the pink color will vary as tourmaline is a natural stone. Measures 6.5” around and almost 2” wide.